Samsung's the first manufacturer out of the gate with a 4K Blu-ray player, but it won't be the last. The Blu-ray Disc Association finalized the “4K” Ultra HD Blu-ray specification in May, and in August the group said to expect product announcements before the holidays. 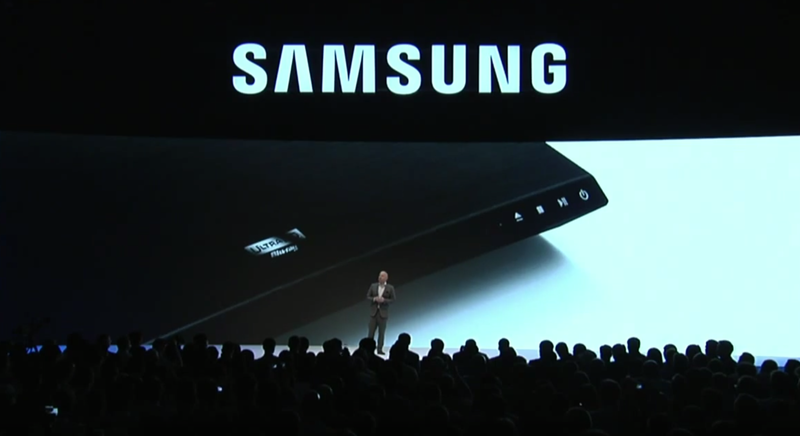 Now, we’ve got our first UHD Blu-ray player announcement, courtesy of Samsung. The Korea-based electronics company used its IFA press event on Wednesday to introduce the UBD-K8500 UHD Blu-ray player. 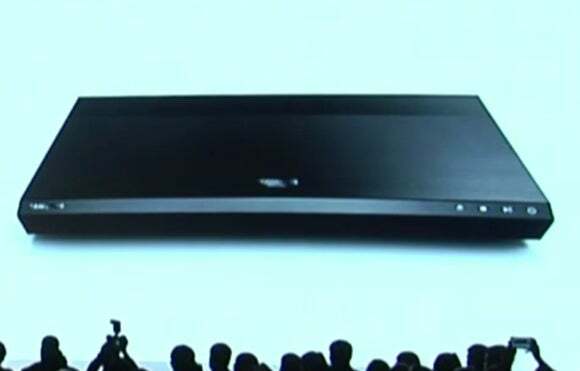 Similar to Samsung’s UHD TVs, the Blu-ray player features a sleek curved design. The player supports everything you’d expect from a 4K Blu-ray player, including video four times the resolution of 1080p, high dynamic range imaging (HDR), and a color palette that’s 64 times larger than 1080p. In addition to playing discs, the box will also work as a streaming video device for 4K services. Additionally, the player will upscale DVDs and regular Blu-ray discs for what is likely to be a 4K-ish experience. Samsung isn’t ready to roll out pricing details, but the player is expected to be priced under $500 when it hits the US in early 2016. That’s about the price range you’d expect for a first-generation UHD Blu-ray player. A predictably small base of 4K TV owners means that not many people are going to look at players like this until they swap their 720p and 1080p televisions for sets with 3840-by-2160 resolution, so Samsung's obviously going to charge a premium price. Anyone who already has a 2015 Samsung 4K TV should expect a software update soon. The upgrade will include support for HDMI 2.0a, which is necessary to take full advantage of UHD Blu-ray features such as HDR. Since we won’t see Samsung’s player until 2016, that gives the studios a few months to get their UHD Blu-ray disc line-up in order. Samsung used its press event to give Fox executives a little stage time to announce that 4K discs from 20th Century Fox will show up around the same time as Samsung’s player. The impact on you at home: Samsung was the first out of the gate with its UHD Blu-ray announcement, but we’ll probably see competing players from other companies before the end of the year. Which companies might do that are unknown, but HDTV sales are always heavily promoted during the holidays. Some company should try to rake in a few UHD Blu-ray dollars before heavyweights like Samsung try to dominate the market.